Food Intolerance is scientifically known as IgG food allergy and this is a delayed inflammatory response mediated by IgG antibodies which can occur with any food. The IgG food allergy, commonly called food intolerance, should not be mistaken with other forms of food intolerance such as lactose intolerance. Lactose intolerance is a non-immunological reaction while an allergy is an immunological reaction. Furthermore it is also very important to note that an IgG food allergy (commonly called food intolerance) is different from a classical food allergy (IgE mediated), for example an immediate allergic reaction to peanuts. 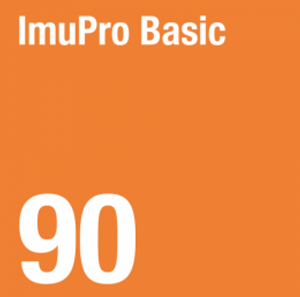 ImuPro does neither test for non-immunological food intolerances nor for classical IgE food allergies. With the ImuPro we are taking about IgG food allergies which are IgG mediated. This type is a hypersensitive reaction to certain foods ingested. The most common foods associated with food intolerance include dairy products, grains that contain gluten, and foods that cause intestinal gas, such as beans and cabbage. An onset typically occurs several hours after ingesting certain foods and may persist for several hours or days. In some cases, symptoms may take 48 hours to occur. Some people are intolerant to different groups of foods, making it harder for a doctor to diagnose and to determine whether it might be a chronic illness or an intolerance to certain foods. As a local provider for ImuPro in Malta, we offer fast, reliable diagnostic tests performed at the German reference laboratory for ImuPro. Such tests are done by obtaining blood from a finger prick and it is placed on a special paper card, dried and sent to the labs for intensive tests according to the type of test requested. In return, ImuPro will send us a detailed report of the foods tested. Other intensive tests are available such as the full test consisting of 270 foods. Such tests consist of a different procedure, being that a blood sample is taken and then the serum is separated from the whole blood using a special centrifuge. Once the serum is separated, it is then shipped by courier to ImuPro labs in Germany which is then professionally tested and in return we will receive a detailed report of the foods tested. There is no special preparation required. Just drink some water before you attend for the test. Some blood is taken from a finger and same blood is placed on a special plate. A laboratory blood form is filled. The blood collection plate and the laboratory form are then sent the next day to Biopharm lab in Germany. Within a couple of days, we will then receive a printed detail result which will be handed to the client.